Known as “Dan” or “DH” to his friends, Donald Henderson Bain is best known as one of Manitoba’s most broadly talented amateur athletes. He is also remembered as an active Canadian business leader, a prominent figure in Winnipeg social circles, and an avid outdoorsman and sportsman. Born in Belleville, Ontario on 14 February 1874, son of Mr. and Mrs. James Bain of Caithness, Scotland, Dan moved with his family to Winnipeg in 1880. Early signs of his athletic prowess were evident in 1887 when, at the age of 13, he won the Manitoba provincial roller skating championship. His best-known athletic achievement came as the captain and center with the Winnipeg Victorias hockey team, which captured the Stanley Cup (then awarded in recognition of amateur championship) in 1896 and 1901. He was recognized as one of the first western Canadians, and the first amateur player, elected to the International Hockey Hall of Fame in 1949. He was elected posthumously to the Canadian Sports Hall of Fame in 1971 and to the Manitoba Sports Hall of Fame in 1981. An all-around athlete, Bain excelled at numerous other sports. At various times, he was the Manitoba champion in roller skating, gymastics, cycling, and trapshooting. He captured the Canadian figure skating champion in the pairs competition in 1930. He was an active lacrosse player. 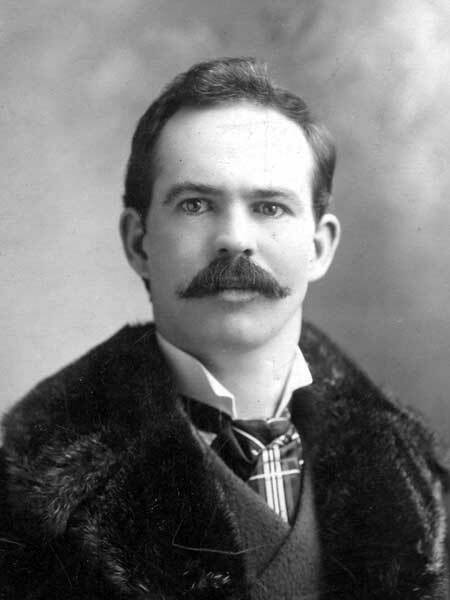 Bain was a prominent Winnipeg entrepreneur. As the President of Donald H. Bain Limited (the successor to Nicholson & Bain, a previous partnership with Edward Nicholson), a grocery brokerage firm with offices in several Canadian cities, he amassed a substantial fortune with which he built a 4,500 square-foot, three-storey home at 69 East Gate in Winnipeg. Among other things, it featured a spring-mounted dance floor. In 1932, he constructed Mallard Lodge as a retreat for hunting and relaxation on his large property on the Delta Marsh. He spent much time there, surrounded by his cherished curly-coated retrievers. He also built a hunting lodge and farm at Grosse Isle. He was an active member of many community groups, including the Ancient Landmark Masonic Lodge, Prince Rupert Chapter of the Royal Arch Masons, King Edward Preceptory Knight Templars, the Khartum Temple of the Shrine (of which he was a member for 57 years), and the Independent Order of Odd Fellows. He was the life governor of the Winnipeg General Hospital, President of the Niakwa Country Club (1936-1939) and the Winnipeg Winter Club, and a founding member of the St. Charles Country Club, Motor Country Club, Winnipeg Automobile Club, and Portage la Prairie Country Club. Recognizing his love of nature, he was a life member of the Manitoba Game and Fish Association and the Winnipeg Humane Society. He was a long time member of the Westminster United Church. Bain died in his Winnipeg home, 69 East Gate, on 15 August 1962 at the age of 88, and was buried in the St. John’s Cathedral Cemetery. He left an estate valued at over 1 million dollars. A lifelong bachelor, he left much of his fortune to charity and to former employees, with the balance distributed among his relatives and friends. He was a brother-in-law to jeweler Andrew G. Carter and shoe merchant Albert James Smale.